Hossein and Najmeh Lahiji, a naturalized U.S. citizen and his wife, have been indicted for medical billing fraud in Texas, and for sending the illicit proceeds to Iran in violation of U.S. sanctions. 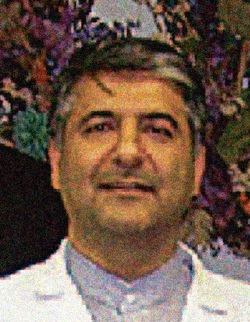 Dr. Lahiji even accepted payments for medical treatment he claimed to perform in Texas while he was actually in Tehran. The Lahijis funneled the dirty money through Espadana Exchange, an “unlicensed money remitting business”—ie, hawala business. Iran sanctions expert and D.C. attorney Erich Ferrari has previously advised Iranian-Americans to “Just Say No” to engaging in hawala, also called havaleh, transactions destined for Iran. Evidently, the Lahijis didn’t take his advice. Update: Lahiji and his wife have both been sentenced to a year in prison. Lahijis are criminals and cowards. Stealing from medicare is the lowest form of theft.